New Sneak Peeks of the episode 2 of ‘Ashlee+Evan’+ New video of Ashlee for MTV News! Hello again! Here are two new sneak peeks of the episode 2 of ‘Ashlee + Evan‘. 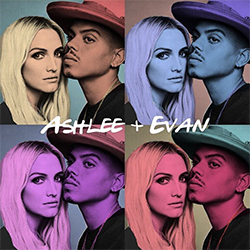 Plus, there is a new video of Ashlee Simpson Ross talking about her music video ‘Pieces Of Me‘ for MTV News. Finally, you can listen the podcast of the appearance of Ashlee and Evan at the radio show ‘Kramer and Geena‘here.